Certified foam concrete machinery requires two conditions: the foam should be uniform and stable; moisture content should be as low as possible. 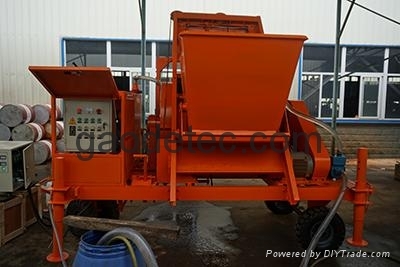 The following factors should be considered when selecting a foam concrete machine. ability. Ability means efficiency. Ordinary foam concrete capacity of 10-30 m3 / h. Our foam concrete mixing station has a capacity of more than 50 m3 / h. A higher capacity machine not only means improving efficiency, but also reduces the time to make the foam and reduces rupture when mixed. Foam Stability Our foam concrete machines produce bubbles that are uniform and bubbles are independent of each other. The thicker the bubble wall, the higher the stability of the foam. After-sales service. You not only want to buy products, but also including after-sales service. Quality service and technical support is a high value-added. Quality service also means high quality products.